Baby mobiles are back in vogue in a very big way, so don’t let your nursery suffer the indignity of being without one. 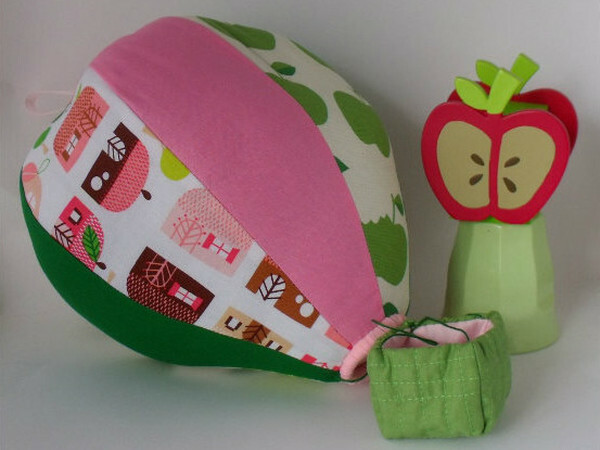 We’ve found some nursery mobile stunners on Etsy and elsewhere this year so come take a look. 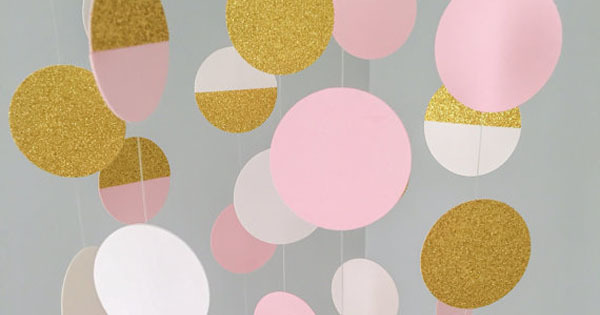 This shimmering circle mobile (pictured above) is right on trend. We love how the glitzy gold is balanced with baby pink and cream. Baby will be stimulated by the bright and colourful colours of a flock of birds as they fly gently overhead. This handcrafted paper and ribbon bird mobile definitely caught our eye. 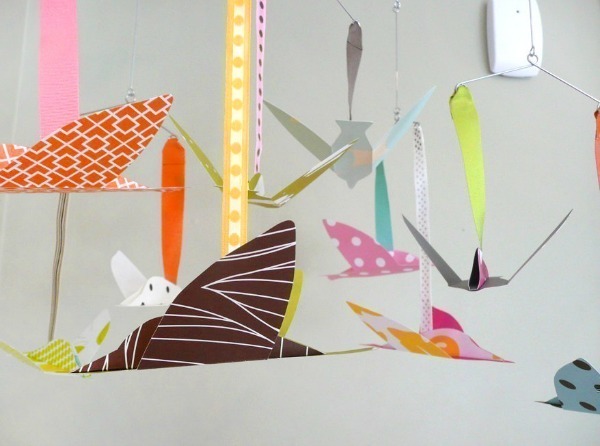 The Japanese-made Paper Baby Mobiles come in kit form, and are made from premium, uncoated colour paper pieces. 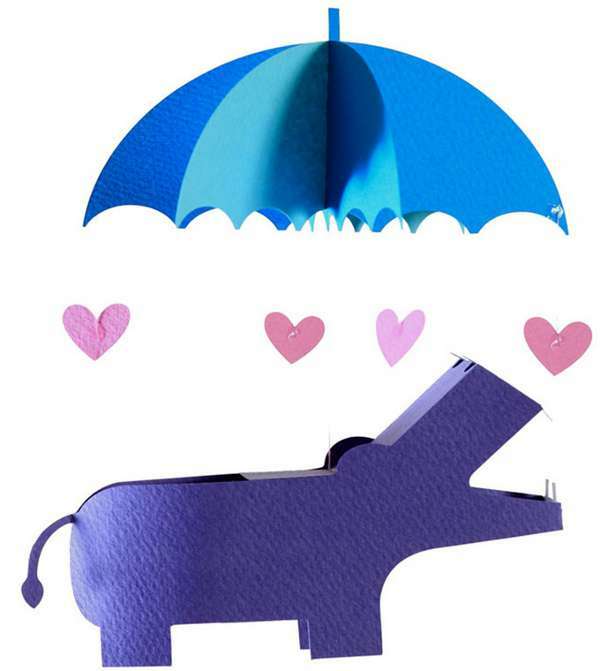 They are the perfect balance of DIY without the hassle to inject a home made touch to your baby’s nursery. They come in a few designs, including hippo, swallow, space rocket, lion, train and mice with cheese. 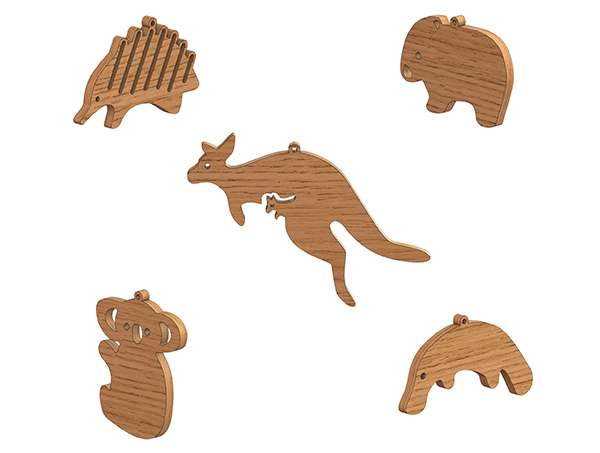 Beautifully crafted, this wooden Australian Animal Mobile is the perfect, lightweight gift to send overseas or showcase in your Aussie baby’s nursery. Made in Canberra, we love the warmth of timber that this style of mobile brings to contemporary nurseries. Another great Australian offering is the hot air balloon mobile made by some creative Victorian sisters. Each mobile is handmade to order so you can request particular colours or characters to match the theme of your baby’s nursery perfectly. Felt was the hot new material of 2014 and we can see why. 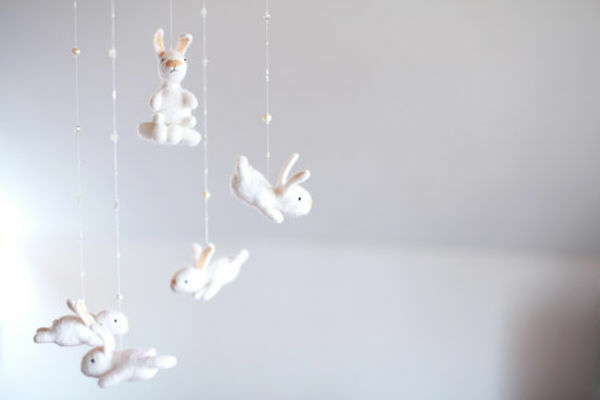 This felted bunny rabbit baby mobile is hand crafted with each bunny possessing a different pose and personality. 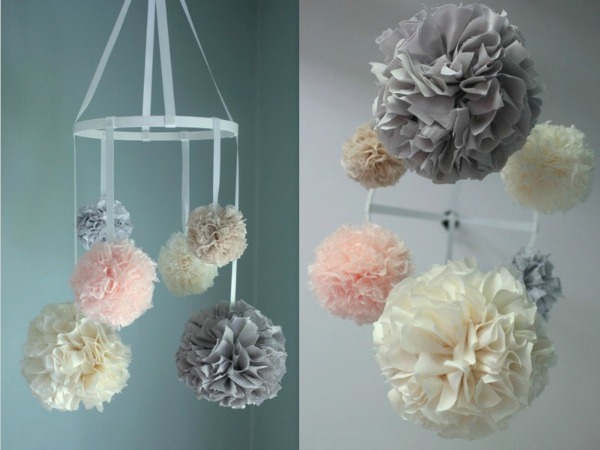 Get an authentic vintage look in your baby’s nursery with these vintage pom pom mobiles from Marigold Poms. Made using upcycled vintage sheets, you can choose six patterned or solid pom poms to suit your unique style and room decor. 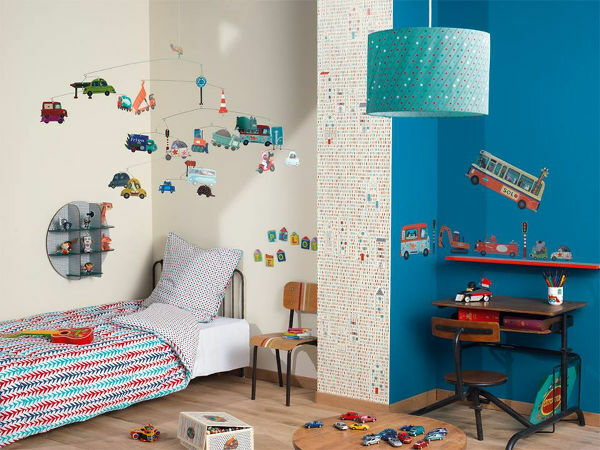 Djeco’s new range of children’s decor, Little Big Room is inspiring us left, right and centre. With more than 20 mobile styles to choose from standard cars and ballerinas to peacocks and lanterns, it is difficult to decide on just one. Not only are there traditional roof hanging mobiles available, they have also introduced some innovative wall hanging versions. And now for my absolute favourite new mobile this year – the driftwood felt ball mobile from Etsy store Feel Felt Felt. The unique and cheerful mobile is simple but inspired. 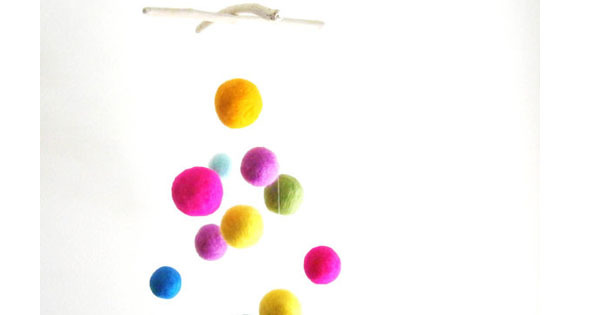 The brightly coloured felt balls and driftwood is one pairing that I can’t get enough of. Check out more favourite nursery mobiles in our previous posts.